Hey everyone. I'm back from my short hiatus, Emily and I are back to home schooling, and boy does it seem like the time has just flown by. As I look back, I am amazed at just how many special moments we enjoyed this summer, and I feel blessed. 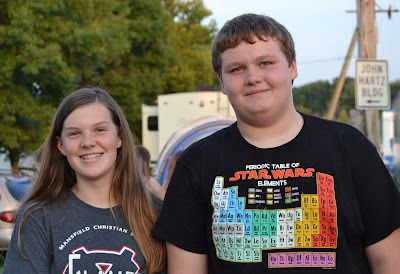 We went camping with family at Shawnee Park Lodge in West Portsmouth, Ohio which I highly recommend if you are looking for a weekend get-away. We stayed in the rental cabins, but the lodge rooms looked fantastic as well. They have a fantastic restaurant and both an indoor and outdoor pool. We went to our state fair for the very first time and saw all manner of interesting things including a cow made of butter. We went to our county fair where we saw all manner of farm animals, ran into a friend of Emily's, and stayed til dark. We went to Zoombezie Bay Water Park and took a friend of Emily's along. And we got together with a few of our neighbors and hosted a block party for people from the surrounding neighborhoods. It was a huge success and about eighty people give or take attended. But now it's time to get back into the routine and to get started, I popped over to my local library to grab a few good books. Needless to say, I was surprised and extremely pleased to see Ocean Meets Sky in the new book section. 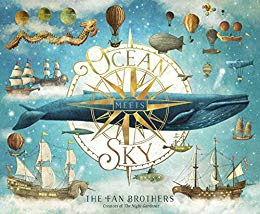 Ocean Meets Sky is an incredible book by the fantastically talented Fan brothers and creators of another book I love titled, The Night Garden. The illustrations have to be seen to be believed as they are so beautiful, and the story of a boy's imagination helping him to remember the grandfather he loved and lost is every bit as endearing. If you haven't discovered Eric and Terry's work yet, I suggest you run to the nearest library immediately! 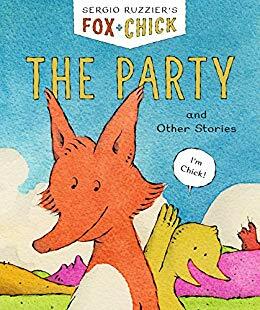 I also read The Party and Other Stories over the weekend. It is a book about Fox and Chick written and illustrated by Sergio Ruzzier. Short and sweet and set up in the graphic (comic strip box) style, this book shows that friends aren't always perfect, but that doesn't have to get in the way of friendship.